EXPERIENCE a variety of real world demos from leading building experts who will show you how independent retailers can grow to be a builders most valuable asset. New this year, LBM Expo will kick-off with an opening session designed to educate retailers and exhibitors on a topic of relevance for everyone. There would be some information about the NRLA here. Join us as the floor opens for lunch with retailers and exhibitors on the show floor. The LBM Expo 2019 Show Floor is open. Come and meet with more than 200 exhibiting companies, explore our demo zones, and find new products to make your business more profitable. First impressions are just that. You get one shot at it. An outdated showroom has some significant costs as people walk by and not engage with the sale staff. If that display looks closely at what they are wanting to replace then they will move on to someone else. Showing off discontinued cabinets, colors, and wood species pushes your staff to make excuses for things your purchaser can’t get. If they can’t get it why is it there? We will jump into this discussion so that you can update that showroom and keep it there without spending all your budget. There are some significant tricks that I will share that will give you that agility in your showroom to stay on the trends without an annual major remodel. A little about Eric Goranson, CKD. Eric is a Certified Kitchen Designer with the NKBA since 1999. He has 28 years in the Kitchen and Bath Industry in design and sales. Eric has managed everything from large showrooms to high rise multifamily condo projects successfully in his career. For the last decade, he has successfully run a business model designed around a smaller more agile showroom footprint while producing extremely high sales rates. It doesn’t take a large showroom to move a lot of boxes. Moving a lot of boxes successfully will make you a lot of money. Eric G will show you how it’s done and how cabinet manufacturers will help you get it there. How not to have the deck you sold end up on the 6:00 news. What are you missing out on with Smart Homes…besides revenue! The smart home is no longer a futuristic concept. In fact, most national builders include smart home products as standards in every home, 100% offer smart devices as an option to differentiate their new home sales from existing homes. Big Box retailers like Home Depot and Lowes dedicate significant endcap and isle space for smart home technologies. If your builders aren’t buying these technologies from you, they must be spending their dollars with the big box retailers. We will spend 30 minutes exploring what is being sold today and why. We will have some hands-on products to help demystify what all the hype is about, talk about how you can curate solutions for your builders. Finish up with resources that are available to you for assistance to get going! Jim has been a key driver in smart home innovation since it was a mere idea and being a part of its continued growth and success is hardwired in his business DNA. Connected Home Advisory is a firm focused on strategic consulting in this space. Connected Home Advisory enables Jim to combine his entrepreneurial passion, experience from prior successful ventures with executive leadership, business and technical skill sets. He works with select individuals and business executives to provide expert advice and guidance on smart home innovation and relevant automation solutions. Quite simply, improving the way we work, live and thrive is at the heart of what he does. As the battle for talent continues to wage on, organizations are looking for new creative ways to complete work. Robotic Process Automation (“RPA”) refers to a set of modular software programs (or “bots”) to complete structured, repeatable, and logic-based tasks by mimicking the actions taken by existing human staff. When leveraged alongside a business’s core enterprise applications, RPA works to mitigate reduce the manual intervention necessary to facilitate defined and structured processes improving business efficiencies. Developed bots are capable of interacting with and integrating disparate enterprise applications, databases, and files to limit the business need to develop custom, application specific integrations. Bots are capable of automating aspects of the supply chain from reducing the need to perform manual invoice verifications, monitor fluctuating commodity pricing and generate reports to assist in pricing management and freight costing, and can even provide real-time analytics on inventory throughput as orders are fulfilled. In this session, we’ll introduce RPA, some of the common uses cases and see a quick demonstration of a leading RPA software. Avoiding the #1 Reason for Construction Litigation. Matthew Whitbeck is Co-Owner of Whitbeck Construction, LLC. and has been a subcontractor, general contractor and custom home builder in Saratoga County of upstate NY for over a decade. He found his niche building custom, high-end homes with the utmost quality and care. He specializes in traditional style homes and exterior sustainability. Nestled in the foothills of the Adirondack Mountains, his company experiences the challenges of building in an extreme cold climate followed by hot and humid summers. These climate changes, and a desire to build long-term sustainable efficient exteriors have led him to develop some unique designs inspired by the cold wall/cold roof systems. Matt has presented both lectures and hands-on training programs at the Journal of Light Construction, International Builder’s Show, various lumberyards, regional events and the Western Roofing Expo focusing on best building practices and sustainability. He designed and constructed a Lab Home for the IBS Show that detailed 4 different wall systems, 2 roof systems and provided blower door test instruction. He employs a unique training program for all of his employees so that each and every person totally understands the methods that Matt expects to be carried out during each phase of construction. Matt’s unique hands-on approach will be demonstrated each day at the LBM Expo. For Kitchen and Bath showrooms, changing styles can be a six-figure problem each year. Design trends change on a dime with the Internet, HGTV, and Pinterest. How do you keep up? I will show you the virtual showroom. Sounds expensive right? WRONG! This will save you in your showroom replacement expenses as well as help you lock that customer in with expectations that can kill your profit margin at the end of the job. We will discuss how inexpensive this process is as well as how to design your showroom to get the most out of it. Plus, you will provide a service that those big box stores won’t compete with and make you a design leader in your community. Walter Tomala, Jr. is an industry-recognized expert in professional home building, remodeling, roofing and education. President of TNT General Contracting, Past President of both the Home Builders & Remodelers Association of Western Massachusetts, and the Massachusetts association and was a Director for the National Association of Homebuilders. Tomala served as advisor on two Extreme Makeover: Home Edition projects. Tomala frequently presents hands-on training courses at various colleges, local trade schools, and other adult learning programs. 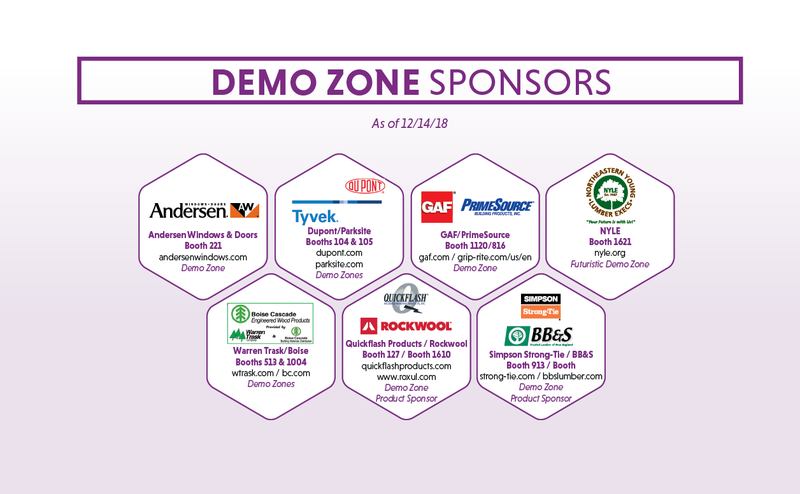 Walt also presents hands-on-training programs at the International Builder’s Show, JLC Live, and showcases installation techniques for various building material manufacturers at shows across the country. He is a recipient of the Edward R. Pedersen Distinguished Service Award. Tomala’ extensive and varied experiences in the industry as a professional contractor make him uniquely qualified to educate other contractors at a variety of levels in high-performance building. Owner and President of LAKA Y Building & Remodeling Inc.
Jason Pecoy is an industry-recognized expert in both education and professional home building. His passion for construction started before he could walk as he joined his father on various residential and commercial jobsites. Owner and President of LAKA Y Building & Remodeling Inc., Pecoy is a member of Home Builders Association of Western Massachusetts. He is the recipient of numerous awards, including HOBI Award for Community Service. Jason Pecoy’s accomplishments include the building and managing of a complete 6,500 square foot Extreme Make-Over home. Pecoy’s focus on safety, high-quality productions and energy efficient building make him extremely qualified to educate other professionals on this rapidly-growing industry. Jason has presented hands-on education at the International Builder’s Show and has assisted at JLC Live. Make plans to join us at on Wednesday, at 4pm in Demo Zone 3, as we honor our longtime friend and industry-supporter, Joe Burgoyne. Cheers! Come on down to the show floor and have a drink with your fellow retailers and exhibitors. How productive could you be if you were able to meet with exhibitors before the show floor opened? In the NRLA’s version of “speed dating” you’ll be matched with exhibitors for a chance to meet quickly and hear what they have to offer before you do business with them on the show floor. LBM Expo Business Connect is an innovative appointment style event designed to bring retail attendees together with exhibitors before the show floor opens. Exhibitors will meet with you to discuss your needs and spark your interest, maximizing your valuable time and resources. Let’s dive into the details of the virtual showroom. I will show you the secrets for shopping for technology elements. We will discuss what the key parts to this process and what you need…. and more importantly what you don’t need. This is not just about gadgets, this is about getting the right tools to close more deals, add more to your gross margins, and eliminating those mistakes that can make a department bleed money with every sale. The majority of callbacks can be traced to framing issues. Many framers are specialists who don’t see the big picture. You can win their loyalty (and their business) by helping them understand how the right product choices and the right installation will minimize drywall problems and ease cabinet and trim installation. That means more work and more money for everybody. Thursday’s LBM Expo lineup continues to get even better. The Boston Red Sox will be joining the 125th Anniversary Celebration on Thursday, Feb. 7. From 11AM-1PM, the Boston Red Sox 2018 World Series Trophy will be on display on the show floor. Register for your badge today, then stop by for to see the trophy the World Champion Red Sox hoisted this Fall. Protecting a house from the weather and making it airtight are two different things. Kitchens are the center of the connected home. With appliance companies fully embracing a connected kitchen as a retailer this gives you a great opportunity for additional sales. Let’s discuss how a connected kitchen and a connected home works so you can understand what products will be hot moving forward so you can have the right solutions for your customers. These new products can give your new home builder something to market that sets them ahead of their competition while still staying on budget. Airtight, super-insulated walls improve performance but complicate flashing. How Does my Virtual Showroom Help My Builder? Builders really want things to be affordable and easy. Sometimes easy is the most important part of the equation that people miss. A builder will most likely pay a little higher margin if they have the service and quality they are looking for. We will discuss how we mesh the virtual showroom into the building process that can even provide all the approvals and sign offs that the builder needs for construction. Can you imagine if your builder is selling his spec homes with your virtual kitchen design on their website? There is so much to cover here but we will dive into how this is a win for the builder and the Kitchen and Bath department. Plus, you build a loyalty that can develop into a very long-term relationship. Why keeping the sheathing warm and dry on a house is not just preferred – it’s necessary. The Annual Meeting of the SILBA Membership will take place on Thursday, February 7, 2019 from 1:30pm until approximately 3:00pm. Kitchen and bath showrooms are places in your business that can make or break your business plan. Using the right software for your designers can limit mistakes and with many manufacturers allow direct ordering of cabinetry right from the program. That can eliminate many of the simple errors that can cost you thousands of dollars on an order gone wrong. There will be an open discussion with the world’s leading program 2020 Design and discuss what this CAD design program can do to help your clients visualize and your designers order the right products. They may be simple structures, but there’s a lot that can go wrong. Come to the NYLE Annual Meeting! Meet the new officers of the Northeastern Young Lumber Execs (NYLE), review the past year, and plan for the future. The CHIPs award will be presented to an individual who has been instrumental in promoting the professional and/or personal development of young people involved in the lumber and building material industry. We’re celebrating our 125th Anniversary so of course, we needed a big name headliner. Join the LBM industry in celebrating 125 years of the NRLA and enjoy an evening of dinner, and a show by the legendary comedian Jay Leno. Learn more about the NRLA’s 125th Anniversary Celebration! Matthew Whitbeck, a builder and industry-educator, will discuss how building material suppliers can reap the rewards of helping their customers address challenges facing the construction industry and expectation of the current DIY market. Whitbeck will give a look at actions your lumberyard can take tomorrow to be more profitable, as well as some of the key concepts you need to be aware of for the next 5 years. From business practices addressing the shortage of labor to relevant technology, to creating a concierge-style delivery and pickup program with the potential use of an online ordering system, Whitbeck’s “Delivering to Builders” session has it all. High-Performance Homes: If you don’t understand best practices, you can’t help your customers choose the right products. will help you guide your builders to best practices and drive margins for both of you. No More Callbacks: Help your customers avoid their worst nightmare. Avoiding the most common (and costly) construction mistakes should be a priority for both you and your builder customer. That often means choosing a product with a higher upfront cost, something builders may be reluctant to do. You need to help them understand that at times choosing a more expensive product may, in fact, save them expensive callbacks. We will show you how to do that. Experience the future at your fingertips today. kitchen and bath showrooms to trainings on forklift simulators, Demo Zone #3 will give you the tools to keep you ahead of the competition.